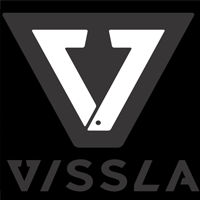 Vissla is a company that offers fashionable apparel and lifestyle products. Visiting this website, you can take advantage of the opportunity to browse the Creators and Innovators section, find out more about Vissla Films, and check out the Lookbook section. In terms of items you can actually purchase, there are a number of categories to consider. You can consider items from such sections of the site as new arrivals, the Jeff McCallum Collection, woven, knits, jackets, tees, board shorts, walk shorts, pants and denim, tanks, bags, accessories, and more. The site also offers a curated goods section, as well as a range of 7 Seas Wetsuits and Premium Japanese Wetsuits. For most up to date offers check out Vissla on Facebook and Twitter or contact Vissla Support for any questions.